Donald Trump delivered a passionate speech at a rally in Great Falls, Montana yesterday on July 5th, 2018, and promoted Senate candidate Matt Rosendale, but that isn’t all that Trump touched upon during his speech. There were quite a few gems from Donald Trump during his address, and it included rightful attacks on Maxine Waters, Chuck Schumer, Elizabeth Warren and on current Democrat Senator Jon Tester, in exposing his backwards liberal agenda on many pressing issues. 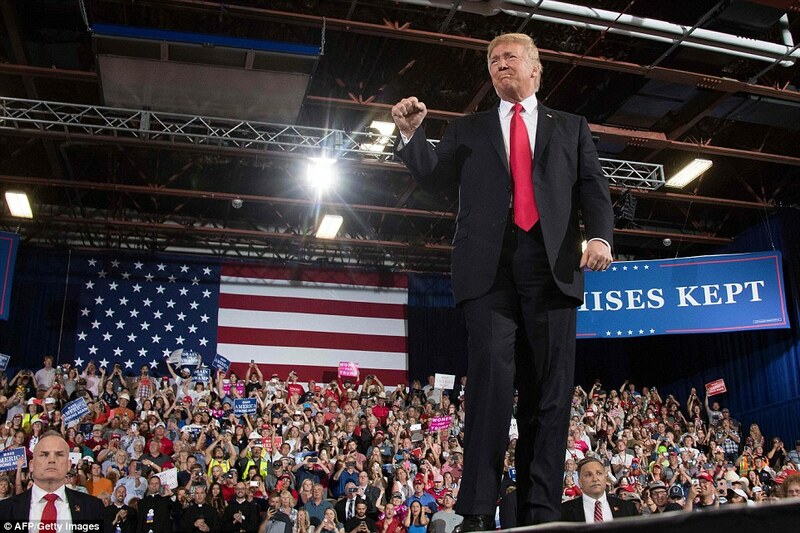 There was patriotism in the air, and surely many Q followers were hidden within the crowd, as roars rang out for the outspoken American President, encouraging for a vote for Matt Rosendale in the November midterm elections. Donald Trump also expressed the necessity of ICE and in protecting them, which helps to keep American’s safe and criminals out of the country by removing them, such as MS-13 gang members from Central American countries. Donald Trump also offered Elizabeth Warren $1 million to take a DNA test to prove her Native American past, since the claims she’s made have been used to further her political career, and has also earned her the name of “Pocahontas”. Donald Trump also spoke about upcoming trade negotiations with Germany and which indicates that disgraced Chancellor Angela “Mother of all Migrants” Merkel will be in for a truly bumpy road ahead in presumed trade tariffs, unless new deals are made to be fair for both sides. Donald Trump said he prefers a good relationship with both Russia and China, meaning new beneficial trade partnerships. Let’s take a look at his speech. Enjoy! He tackled the “dishonest media” and the “fake news” perpetrators, and said that they make up their own sources very often. Trump said, “These are bad people” in reference to the fake news media. So there you have it! As if we needed any more proof of an ongoing Deep State cabal previous course of power, from George Bush Senior, to Bill Clinton, to George W. Bush and to later Barack Obama, and that’s why that they really despise Donald Trump, because he’s for the people and a political outsider, not apart of the New World Order agenda. Trump also stressed the necessity of legal immigration and in keeping the borders safe, finalising on that Democrats have gone so far as to want total “anarchy”, which is so true as they continue to lose voters. We can all hope that Maxine Waters will run for the 2020 presidential election, right? Since we all know, and as Trump said, she’s a “low IQ individual” with a score probably in the “low 60’s”, so there’s always that to look forward to. Great speech!